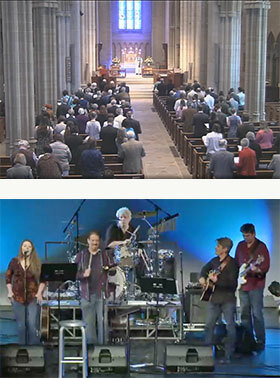 Several congregations broadcast their live worship services over the internet, so that you can watch live. 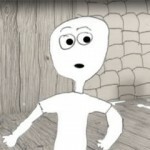 Services are typically archived so that they can be viewed later as well. The style of worship varies from congregation to congregation, so try each to see which appeals to you! 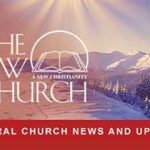 The Glenview New Church, near Chicago Illinois, live-streams a family/contemporary service on Sunday morning at 9:30am, and a traditional service on Sunday morning at 11:00am from their YouTube channel. Both times are in the Central Timezone. The Ivyland New Church live-streams their service on Sunday morning at 10:00am (Eastern timezone) via Facebook. To view the livestream, you should “like” their Facebook page, and have Facebook open at 10:00am, at which point Facebook will notify you to watch the livestream. Kempton New Church live-streams services each Sunday at 10:00 AM Eastern Time and about once a month Sunday Evening at 7:00 PM. New Church of Boulder Valley broadcasts a contemporary style service with a children’s talk followed by an adult talk. The service begins on Sundays at 10:30am Mountain Time (Denver). 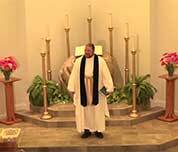 The New Church at Boynton Beach, FL live-streams a service consisting of an interactive children’s talk (printable Sunday school sheets also available) and an inspirational adult talk every Sunday morning at 10am (EST). Oak Arbor Church in Rochester Michigan live-streams their Sunday services at 10:30 Eastern time via their Facebook page. The Olivet New Church, near Toronto, live-streams a service every Sunday morning from their YouTube channel.